Broccolis are green plants that can be classified under the cabbage family and it is the large inflorescent flowerhead that is consumed throughout the world. 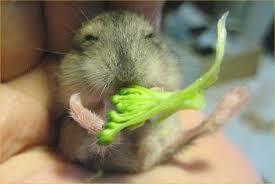 However, when it comes to the question that can hamsters eat broccoli cooked or raw one has to be a bit careful. In this respect, broccoli is a nutrient-rich vegetable that is safe to offer to hamsters, but like all healthy foods, it should be given in moderation. Broccoli undoubtedly is one of the most wholesome of veggies that you can feed your hamster, however, you should not go overboard in feeding the vegetable. So, as far as giving broccoli to your pet is concerned, you should keep in mind that moderation is the key if you want the rodent to benefit from consuming the same. First, check whether the pet likes taking broccoli or not. In case she does, just make sure that you give it once weekly or twice at the most. 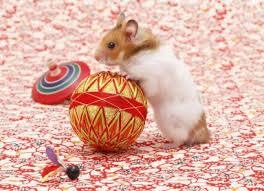 Can Hamsters eat broccoli raw or cooked? Though there’s no harm in offering the vegetable in raw form, it’ll be always better to steam or boil it to be on the safer side. Steaming the broccoli strands ensures that insecticide or pesticide sticking to the vegetable has been cleared off or neutralized as well as harmful bacteria thriving inside it are killed. If you’re offering the veggie in raw state, then wash it in clean water and make tiny fragments or pieces of the same. Your hamster can get bored from crunching pet foods and broccolis offer a welcome break as she’ll like its greenish texture. 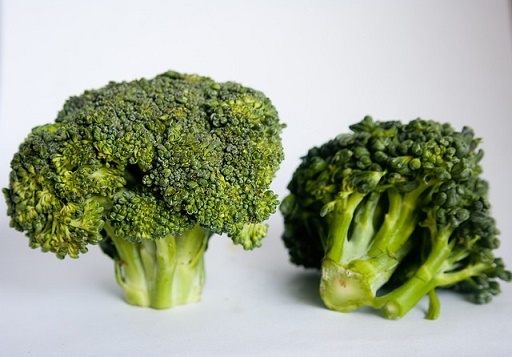 Broccoli is actually an inflorescence like cauliflower but is green in color unlike the latter which is white. Broccoli is very rich in vitamin C, K, B6, B5, and B2 as well as minerals like calcium, magnesium, phosphorus, potassium, and iron. Cooking broccoli results in the release of more than 33 compounds, including the enzyme ‘indole’ that are instrumental in fighting and preventing the built-up of carcinogens that target healthy cells. Broccoli can also help keep your pet energetic, promote metabolism, and keep her vision intact. What to Keep in While Offering Broccoli? While offering broccoli to your pet make it a point not to garnish the same with black pepper, salt or garlic. Peppering the veggie with these additives can lead to an excessive salt build up, diarrhea, and accumulation of toxic matter that might be harmful to her health. On the other hand, flavoring broccoli with butter or cream on a regular basis can make her overweight or obese. So, it is best to give steamed or cooked broccoli in plain form without adding anything else other than a few spoonfuls of water. What if Your Pet Hamster Doesn’t Like Broccoli? In case your pet doesn’t take to broccoli then there’s no need to worry or fret about it. There are a lot of healthy food items available that you can offer to your pet as an alternative to broccoli including hamster pellets.